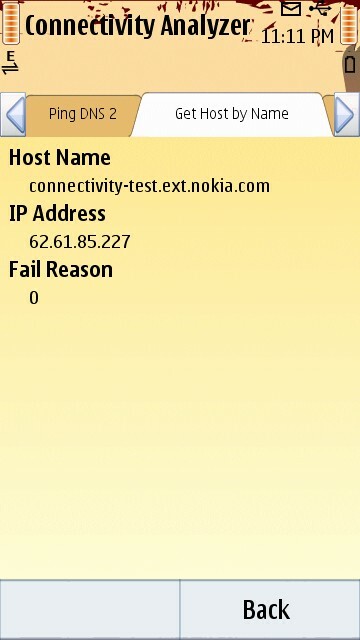 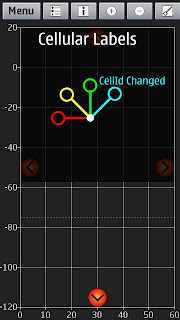 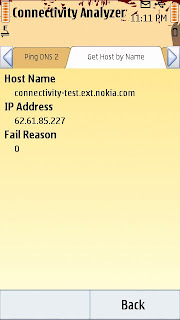 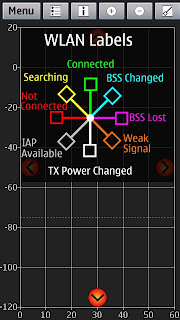 Connectivity Analyzer is a smart utility for your Nokia N8. 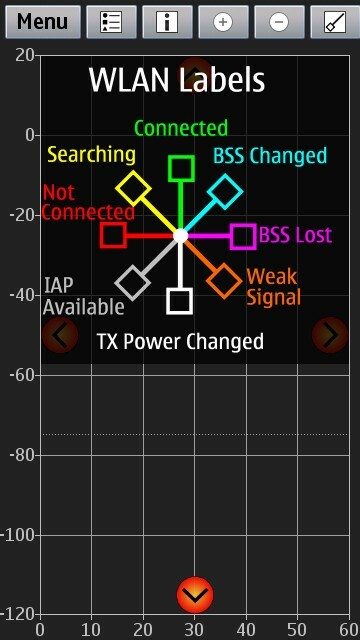 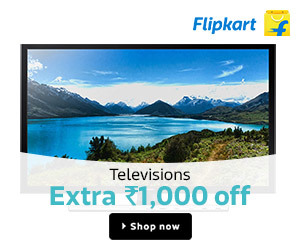 It helps you analyze and troubleshoot the data connectivity sources. 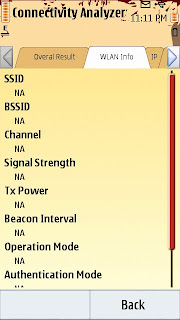 You can analyze the WiFi connection at your home or at a hotspot and get all the related details for the connection under test. 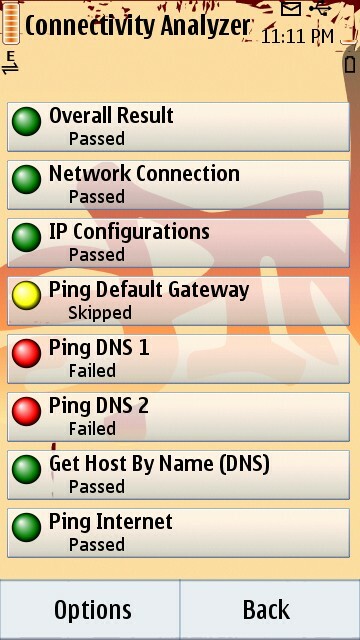 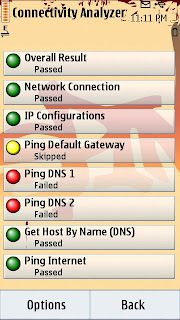 This application gives you a very detailed status of your connection like, DNS Ping Status, Internet Connectivity Status, IP Configuration Status, Default Gateway, etc. 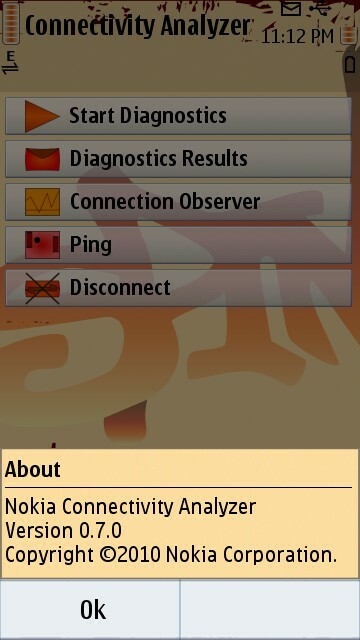 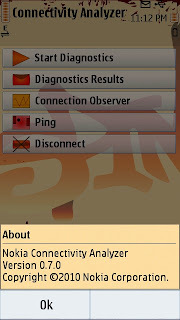 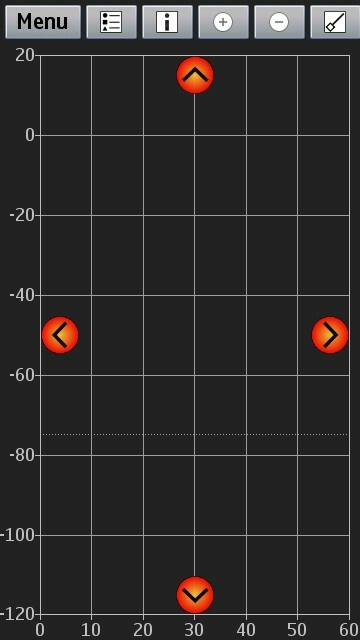 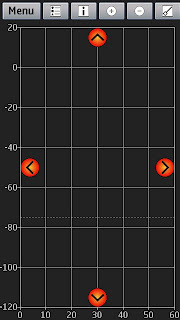 You also have a feature called 'Connection Observer' which gives you a developer level data related to the Access Point being tested. 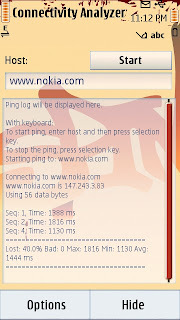 This application is still in the beta phase and may help you determine the problem when you are not able to access the internet using your access point. 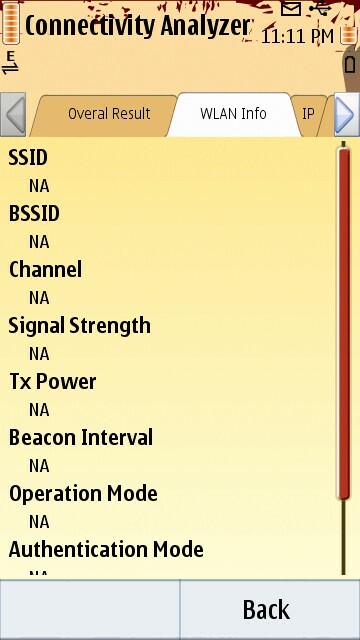 The interface is pretty simple, you simply have to tap on the 'Start Diagnostics' option and you get a list of access points that exist on your phone which will include both your Wifi and Mobile Operator access points. 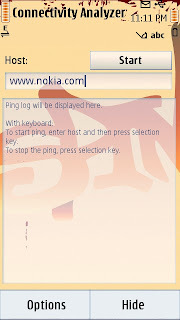 To further test an individual website, you can use the 'Ping' option which lets you specify the website that you wish to access and the related access status. 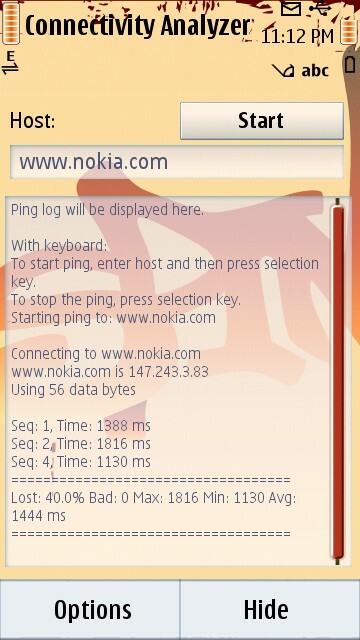 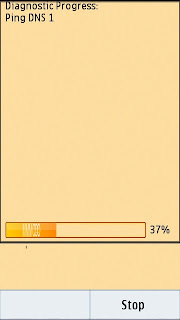 This is indeed a very useful application and something that you must have on your phone. 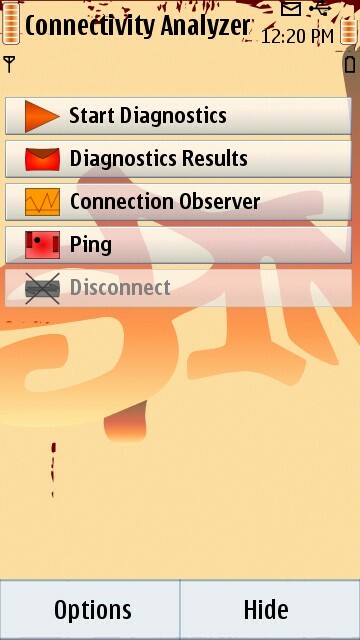 Let us know of your experience with this application and if you were able to utilize it well with your data connection. 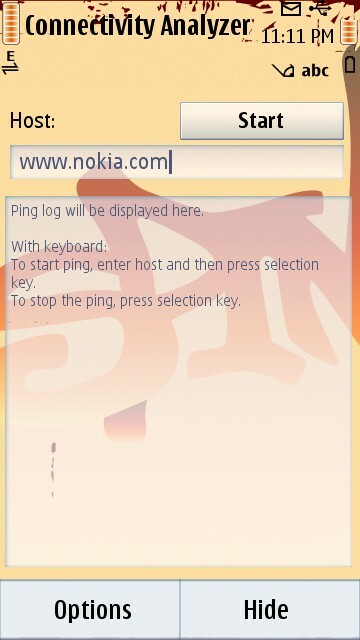 Also, join rest of the blog readers and discuss with them your every day experience with the phone at the Nokia N8 Forum.